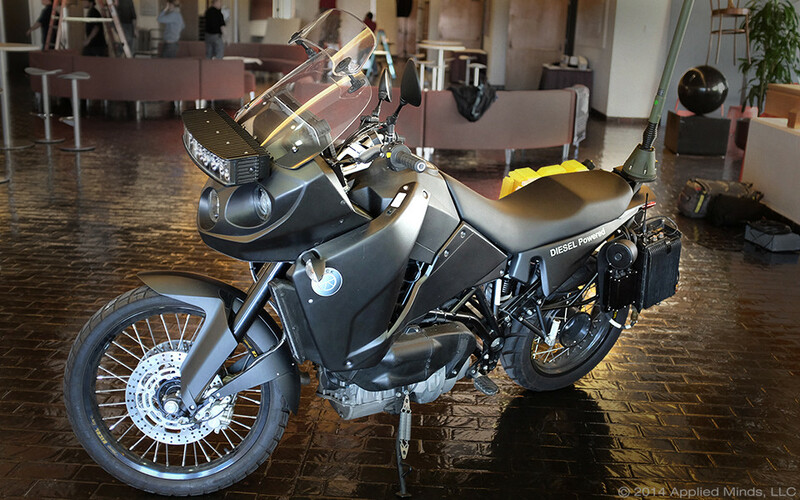 The KiraBike™ is a turbo-diesel motorcycle provides 100mpg fuel economy and good on-road and off-road performance. The KiraBike features a three-cylinder CDI turbo-diesel engine with a CVT type transmission, shaft drive, a high-output electrical power system, high-power HID and LED lighting, and secure VHF and UHF voice and data communications. It also has a removable, onboard, ruggedized tablet for email, Internet access, maps, photo documentation, and mission support.